PSI Pressure Washing services are needed to clean the interiors and exteriors of all kinds of buildings. Regardless of the climate, all buildings can be cleaned and maintained. As a property owner, you need power washing to clean roofs, walls, floors and hard surfaces, like wood and concrete. Clean areas regularly to keep a home or office working and looking well. For accuracy and a job well done choose a safe, reliable pressure washing provider like PSI! Cold and humid cities require power washing services equally. Rain washes out filth, and heat dries filth on surfaces. In hot, wet weather, mold and algae thrives on many surfaces. The patio, tile floor and siding can collect plenty of damage. Over the years, the dirt becomes more ingrained. Live substances like mold grow quickly. Keep a regular maintenance program to prevent more damage. Make sure that the property looks good year round. Maintenance is usually cheaper than repair work. PSI caters to all client needs, and that includes the use of soft pressure washing. Many customers choose this type of cleaning because they do not want to damage property. The technique still gets rid of stubborn dirt and mold that grows on roofs and other structures. The process takes longer, but the results are worth the extra effort. Washers use special tools to clean away materials. Be assured that your property investments are safe. 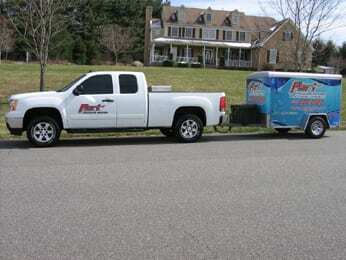 PSI pressure washing company has experienced workers who practice safety and efficiency. They know the right soap products and techniques to use. Washers must understand all the factors that contribute to an effective cleaning. Too high water pressure and ineffective soap will create bad results. Your house could sustain more damage after a pressure washer comes by. Common signs of damage caused by professionals include broken window seals, stripped shingles and peeled paint. Choose a dependable provider who understands power washing-choose PSI!